We all love our Estonian community – whether or not we participate regularly. 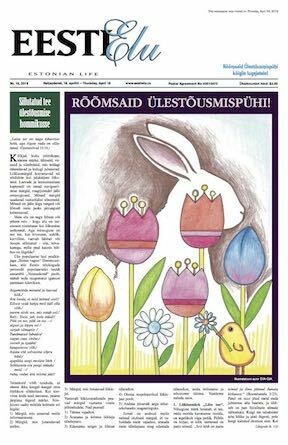 The folk dancing performances, the choir concerts, and the children who value and understand the Estonian language and culture make us proud and hopeful for the future. All together, community activities connect us to our roots and to each other, helping to ensure our cultural legacy. How does the Foundation help the community? In today’s language, we could almost call it crowdfunding. In simplest terms, the Estonian Foundation of Canada collects donations and bequests from the broader community and returns them to projects and organizations that work toward ensuring an Estonian future in Canada. Since 2000 alone, more than $5 million donated dollars have been granted back to the community. This funding is crucial to the recipient organizations and to thousands of participants. Without EFC support, the cost of many of our community activities would be a deterrent to participation, and our whole community – and our future - would be poorer for it. Funding from EFC sustains activities and organizations in our community. Twice a year, Estonian organizations turn to the Foundation to help meet their financial needs through a structured grant process. It’s always rewarding to see the breadth and strength of projects, activities and initiatives that keep our community together and promote and support our heritage. What projects and initiatives received EFC support? In November 2018, the EFC Board reviewed 19 funding applications from across Canada. After rigorous review, the EFC Board approved approximately $102,000 in community funding, bringing the total approved support in 2018 to roughly $275,000. Language instruction and heritage education continues to be a significant funding priority for the Foundation. It is a way to keep young people and their families engaged in the community and better understand Estonian culture. A large part of funding in this period went to support the Toronto Estonian Kindergarten and Schools, which currently have a total attendance across all ages 3+ of about 150 students. EFC support over this year will help language schools and kindergartens in Montreal, Hamilton and Toronto stay affordable and attractive for Estonian families. 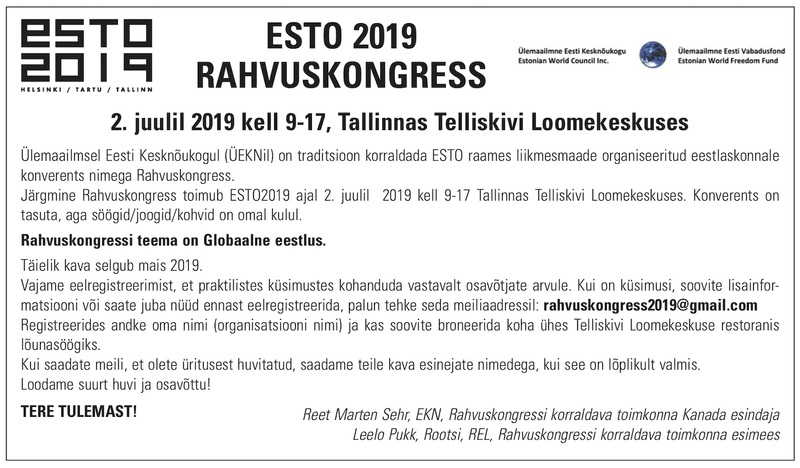 With the whole community excited about the Song Festival in Tallinn in 2019, our choirs are already hard at work preparing the music. EFC was proud to support the recent LaLaLa joint choral workshop, as well as the Hamilton and Estonia choirs in their rehearsals. 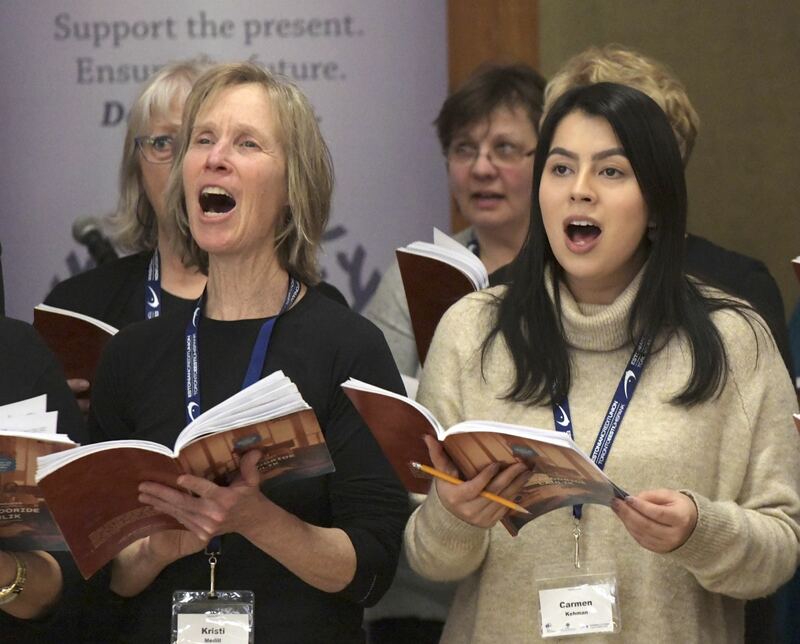 Through the Estonian Singers Federation in North America, EFC is subsidizing a portion of the Festival participation costs for those attending and is a proud sponsor of the upcoming Joint Choral Concert in March 2019, where we can all enjoy the results of their hard work. EFC continues its involvement with sports as well. In addition to providing support to 2019 Esto Ski Day Georgian Peaks in Ontario, EFC will again be a sponsor of Estonian Ski Tremblant in March 2019, now heading into its third year in Quebec with significant attendance from both Canadian and American Estonians. Off the slopes, EFC provided support to the EKL (Estonian Alumni Association) Volleyball Tournament in February and will be a sponsor of the Baltic Cup Hockey Tournament this spring. Funding was also granted for activities of the Vancouver and Montreal Estonian Societies, to the Kungla folk dancers, and to the Estonian Ethnographic Circle. Wherever Estonians gather, the Foundation is there! The Estonian Foundation of Canada and its Directors work with partners and organizations across Canada to support and enable Estonian communities, activities and initiatives. This support helps keep communities vibrant and active. EFC accepts applications for funding grants twice a year, with deadlines of April 15 and October 15. The Foundation is accepting applications for 2019 EFC Scholarships until October 15. EFC Scholarships are open to post-secondary students in 2nd year and above. Donations are accepted at any time.